Magazine that began in 1994 and is published 4 times a year (January, April, July, & October). It was started by and is published and edited by Linda May Grobman, ACSW, LSW, a social worker with an interest in social work career development. It was published in print format until Spring 2007. Starting with Summer 2007, it is published in electronic format (PDF) and is available for free download from this Web site. The SW&S-Journal is a peer-reviewed journal published two times a year. The SW&S-Journal is an Open Access Publication that is available free of charge. 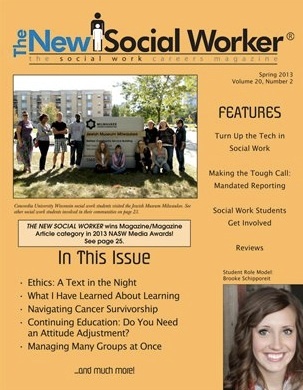 ASSW on-line magazine, covers acute issues in social work education. All four volumes in on-line (amag) and pdf format are available for free. Perspectives on youth is a new annual series on youth policy, research and practice supported by the EU-CoE Youth Partnership. The editors seek inspiring articles from researchers, practitioners and policymakers that are aimed at moving forward debates on youth and that have a European/ international relevance. This can include research articles, well-founded essays, or opinion pieces. The series aims to function as an information, discussion, reflection and dialogue forum on European developments in the field of youth policy, youth research and youth work. The conceptual strategy should be critical and anticipative, reflecting European youth policies and their relevance for and impact on young people, also seeking for trends in the youth field that need innovative and forward-looking answers and strategies. All contributions should endeavour to address questions of transnationality and intercultural positions, rather than be restricted to the context of one particular country – though sometimes individual country perspectives, from different countries, might be invited but ‘covered’ by some short transnational editorial commentary. The series has the aim to reach out to a broader readership at all levels (policymakers, youth workers, practitioners, students and researchers). Routledge is proud to announce Issue 30(3-4) 2012 from Journal of Technology in Human Services has been awarded BEST ISSUE. All JTHS published articles between June 2010 and December 2013 were considered for the award. FREE ACCESS is available through to December 31, 2014. Download each article in PDF format or view in HTML format. CITE and SHARE the content with your colleagues. This special issue focuses on research strategies and methods for analyzing social media. It contains research articles that report on the latest social science results and advances in this area. The articles of this special issue include innovative research methods within the field of social media analysis. The Journal of Social Work Education (JSWE) is dedicated to issues relevant to the education and training of social workers at all levels. The Journal presents innovative approaches to social work practice and their educational implications. Read and download Journal of Social Work Education EDITORIALS from current Editor-in-Chief, Dr. Susan P. Robbins (2013–2015). The Editor-in-Chief plays a pivotal role in social work education scholarship and performs an important service to the profession by directing policy decisions for JSWE and editing its contents. Dr. Robbins brings a distinguished record of publication, standing in the profession, and leadership ability to the position. You’ll also find several Guest Editorials listed below as well as Editorials from former JSWE Editors-in-Chief and Guest Editors. The criteria for choosing the BEST ARTICLES published in the Journal of Social Work Education include the importance and timeliness of the content, originality of thought, innovative conceptualization of the topic, and presentation of conclusions and/or recommendations that add significantly to the professional knowledge base and to social work education. CITE and SHARE these BEST ARTICLES from JSWE Volume 49, 2013 and JSWE Volume 48, 2012 with your colleagues and students. FREE ACCESS is available now – just go to the collection page and click on each article title to download. The Journal of Social Work Education receives all manuscript submissions electronically via its ScholarOne Manuscripts site located at http://mc.manuscriptcentral.com/jswe. ScholarOne Manuscripts allows for rapid submission of original and revised manuscripts, and facilitates the review process and internal communication between authors, editors, and reviewers via a Web-based platform. ScholarOne technical support can be accessed at http://scholarone.com/services/support. ABOUT THE CSWE - The Council on Social Work Education (CSWE) is a nonprofit national association representing more than 2,500 individual members, as well as graduate and undergraduate programs of professional social work education. Founded in 1952, this partnership of educational and professional institutions, social welfare agencies, and private citizens is recognized by the Council for Higher Education Accreditation as the sole accrediting agency for social work education in this country. CSWE pursues its mission in higher education by setting and maintaining national accreditation standards for baccalaureate and master’s degree programs in social work, by promoting faculty development, by engaging in international collaborations, and by advocating for social work education and research. JOIN THE CSWE AT www.cswe.org. The Journal of Social Intervention: Theory and Practice is a peer-reviewed journal that aims to disseminate both academic research on social interventions and reflections on practice to a readership of social scientists and professionals. “Lesbian, Gay, Bisexual, and Transgender (LGBT) Aging: The Role of Gerontological Social Work”, a special triple issue from the Journal of Gerontological Social Work is now available for FREE ACCESS all of September 2014. The issue includes 18 articles and focuses on lesbian, gay, bisexual, and transgender older adults and aging, an often unseen and marginalized subset of aging persons. The Journal of Gerontological Social Work receives all manuscript submissions electronically via the ScholarOne Manuscripts website located at: http://mc.manuscriptcentral.com/WGER. All editorial inquiries should be directed to Dr. Carmen Morano, Managing Editor, at cmorano@hunter.cuny.edu. Read Complete Instructions for Authors. Social work is a formal activity in many countries of the world with some recognisable characteristics shared across national boundaries. However, its form and function are also heavily influenced by local conditions such as national histories, culture, and political and economic considerations. Global and regional events and protocols now also play a part in informing ideas about social work, its values, and its practices. 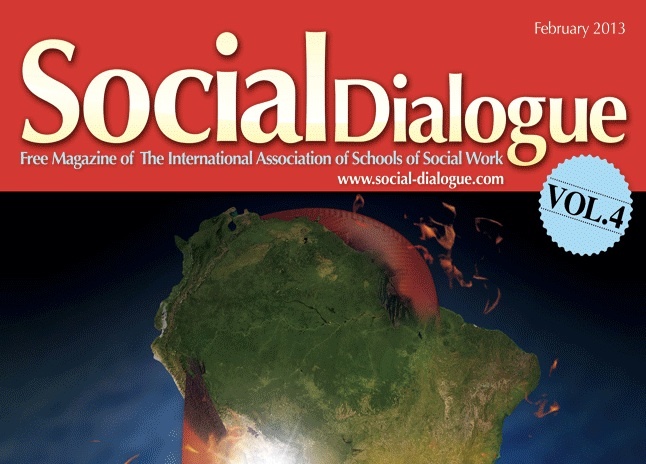 There are debates about the appropriateness of global statements jointly agreed by the International Federation of Social Workers and International Association of Schools of Social Work for countries and regions, namely the International Definition of Social Work, Ethics statement, and Global Standards for Social Work Education. 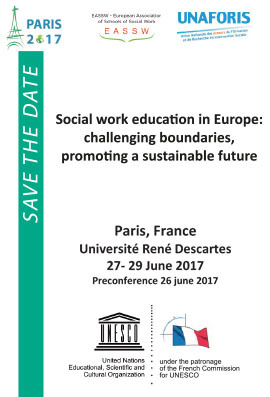 There are also wide variations in the European region itself in relation to understandings of the nature of social work and the role of social professionals. • identify the contribution of cross-national collaborations in social work education and/or research to understanding the interface between national and international domains of the profession. The guest editors welcome proposals for contributions that advance these debates, from either a theoretical or an empirical perspective, or both. The deadline for submission of abstracts is 30th August 2014. Decisions on the commissioning of full papers will be made by 30th September 2014. Full papers will be submitted by 31st January 2015, and will be subject to full peer review prior to decisions on publication. All papers finally accepted will be published in either the special issue or a regular issue of the journal. 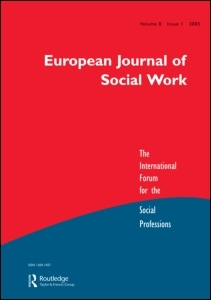 The European Journal of Social Work is committed to the idea that the social professions have to respond to globalisation and the decline of existing welfare regimes in a critical, informed, and independent manner. It regards itself as a vehicle for their active contribution to the creation of a Social Europe. The specific competence of the social professions promotes practice based on justice and the recognition of human rights and thereby seeks to eliminate discrimination, racism and exclusion. The editorial board welcomes papers of high quality dealing with local, national, European, or international issues which advance this discourse. 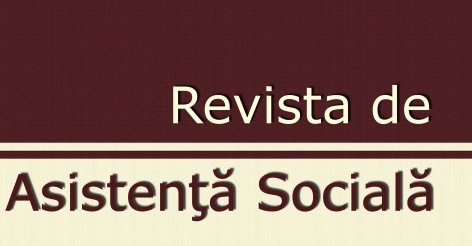 A Social Work International Journal publishes the papers which are or will be presented at the School for Social Work Theory and Practice at Inter-university Centre (IUC) in Dubrovnik, Croatia, where teachers of social work, post-graduate students and social work practitioners as well as users meet annually to engage in the dialogue on social work praxis, i.e. knowledge of action. and practitioners from across the global village. Alternativas. 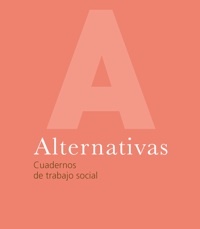 Cuadernos de Trabajo Social is a refereed journal, using the peer-review system for external revision by experts in the field and methodology of the research. The publication standards adopted and applied are those detailed in the APA Publication Manual. The objective of the Journal is to contribute towards the dissemination of original research, concept papers, practical experience, book reviews and technical notes, carried out in our country or internationally. 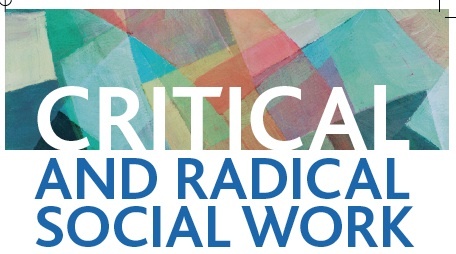 Such studies may deal specifically with social work, social policies and the social services or come from other disciplines and professions in the area of the Social Sciences, which from a multi or interdisciplinary perspective serve to enrich and complement the discipline and professional practice of social work. Submissions must represent original, previously unpublished work (which is not being considered for publication in another journal) and written in Spanish, English, French or Portuguese. Each issue of the journal is published in both a printed version and an electronic version here.